Joshua Redman, all of 24, has released a complete and satisfying jazz album. While he is the son of famed jazz tenor saxophonist Dewey Redman, Joshua was raised by his mother and has a tone and style that are all his own. He has a fat, rich tone on tenor, and plays restrained, introspective solos. The material on his debut is a challenging combination of timeless originals ("Blues on Sunday" may well become a standard) and covers as diverse as Monk's "Trinkle Tinkle" and James Brown's "I Feel Good." Redman also wrote a thoughtful philosophical essay on the state of contemporary jazz, in which he takes to task the many critics (including, one supposes, your loyal correspondent) who have argued that the future of jazz is being hashed out between young traditionalists and innovators. 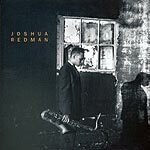 Considering that Redman himself is both conversant in mainstream jazz's many traditions and is also an innovator, his arguments  both written and played  carry convincing weight.